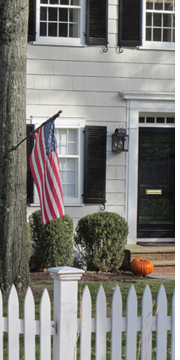 You know why people want to live in Chatham Borough – a quaint setting, with a small-town atmosphere, top tier schools, and the easy commute to NYC. That and it was ranked as one of the best towns to live in by CNN, Money Magazine, & NJMonthly to name a few. 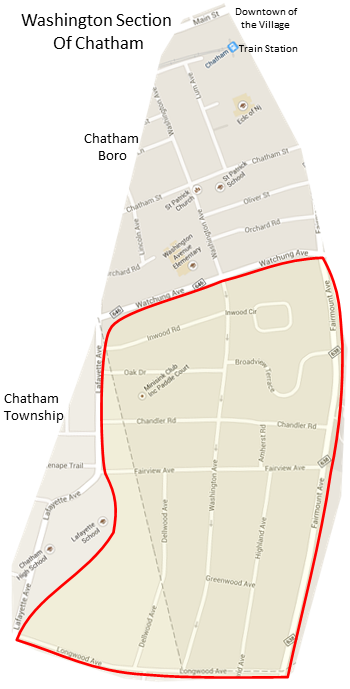 While Chatham is about 2-1/2 square miles, with about 9000 people living within its borders, The Washington Section is about a 1/3 of a square mile. Roughly speaking, the Washington Section is bordered by Watchung Ave, Lafayette Ave, Longwood Ave, and Fairmount Ave. Nearby elementary schools are Washington Avenue school Lafayette School, and Southern Blvd Elementary. 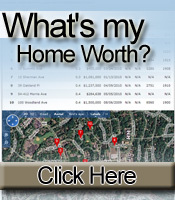 Search for your Home | What's my Home Worth? ©2017 Patrizia Giassa All information deemed reliable, but not guaranteed, subject to errors & omissions. 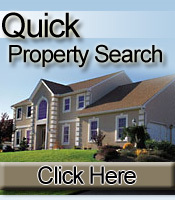 Sales Data from Garden State MLS.